There is a gap in the earth’s surface deep below the ocean out of which appear, every so often, giant monsters known as kaiju. The kaiju wreak havoc, killing people and destroying entire cities. Luckily, humans have invented giant robots piloted by two people who click into each other’s brains and are often able to destroy the kaiju. But then the kaiju start winning, and they need to destroy the source. This film is terrible and wonderful at the same time. Terrible because the story is pretty pathetic and the characters are stupid caricatures. 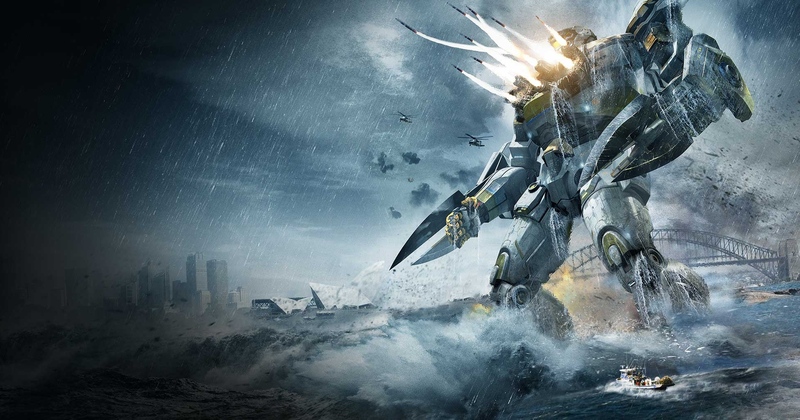 Wonderful because there are giant robots battling giant monsters, and that is awesome. It’s beautiful, but you would expect that from director Guillermo del Toro who made the stunning Pan’s Labyrinth. And if it all sounds familiar, it is terrifically close in concept to the anime Neon Genesis Evangelion.